It's the most wonderful time of the year! 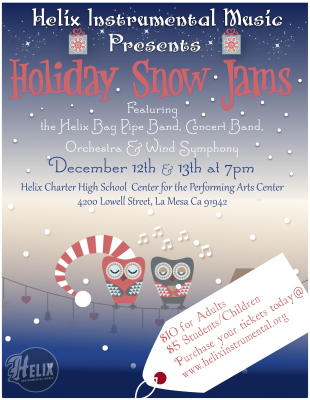 Join us to get your holiday spirit on as Helix Instrumental Music presents Holiday Snow Jams 2018. One great show, two special nights!